Diet and exercise aren’t for all of us, but weight loss is a game that we can now all play. 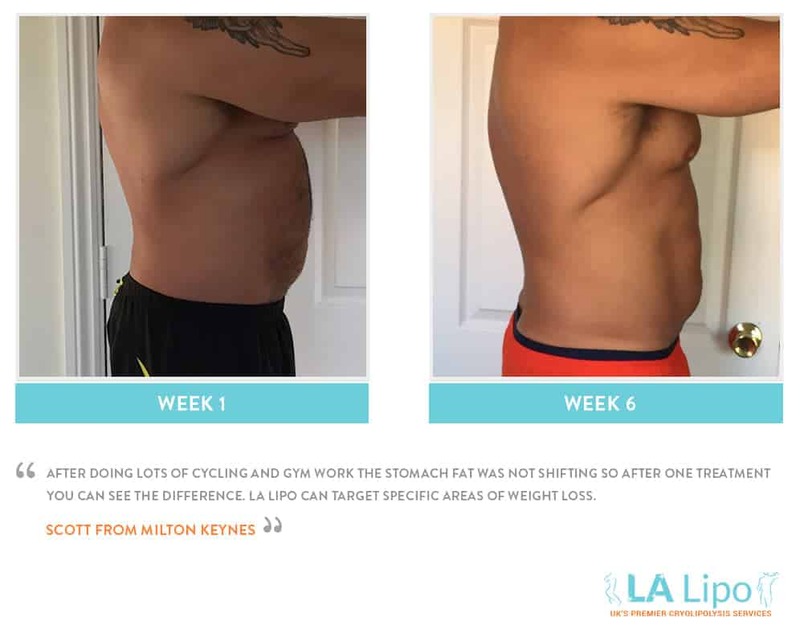 At LA Lipo we want our customers to love their bodies, and if we can help in achieving that goal, then our mission is complete. 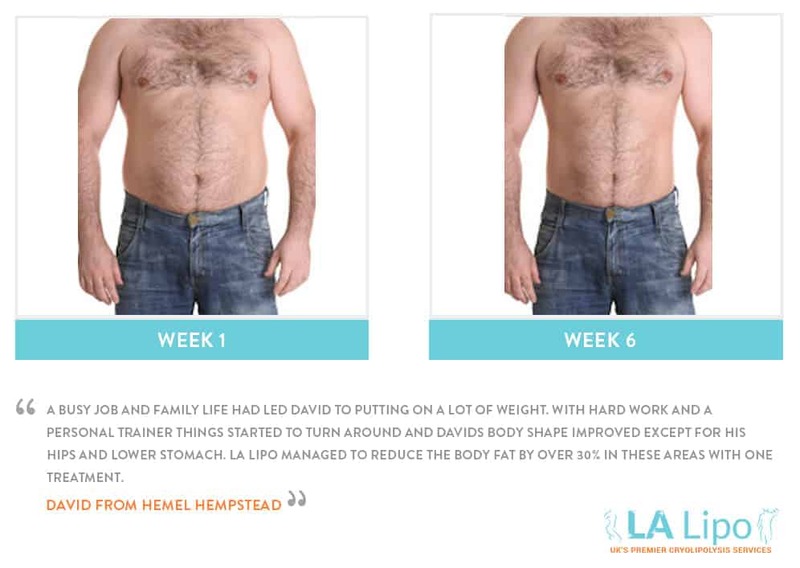 We have found that after some sessions, many of our customers have been able to transform their lifestyle and the fat removing procedure has completely changed the way in which they love their bodies. Cryolipolysis has taken the cosmetic industry by storm, a safe and non-invasive procedure that is designed for both men and women, has become the go-to option for weight loss. Over the years, the beauty industry has improved itself to provide customers with faster and more reliable weight loss results that don’t rely on surgery; it has become the fat freezing saviour from men and women alike. For many, it is a welcomed alternative to liposuction, taking away the need for surgical remedies and having safer and more body-sculpting options available. At LA Lipo we have been able to capture those ‘perfect’ bodies we all dream of. Keeping the needles at bay and attacking those lumps and bumps through a fat cell removing procedure instead. We know that time is important and here at LA Lipo, our fat freezing procedures last between 30 to 60 minutes each session, with no need for recovery time. We believe that you shouldn’t have to wait around for weight loss, and through this procedure, our customers can see visible results within six weeks, but depending upon the area, desired results can take up to 12 weeks to see the effects. It is a procedure that works best for a healthy lifestyle, helping to rid the body of fat cells in the most natural way possible. We want our customers to feel amazing in their skin, and if that can be achieved by a handful of sessions, then we are the premier service to use. Nobody is too difficult or challenging; we welcome every shape and size. It’s a process, rather than having to endure a journey, and we want to be apart of the weight loss process with you. 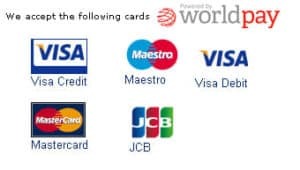 A knowledgeable and dependable team of experts is on hand to welcome our customers, each one able to create a plan designed to cater to that individual’s needs and desires. It is a tailor-made service because everyone is different. Many of our customers find that they’re unhappy with certain features of their body, whether it be those stubborn love handles or that uncomfortable muffin top that just doesn’t disappear after countless workout routines. We are on hand to provide those desired weight loss results. Through this procedure, our customers have felt it be more of a natural process, compared to surgery. It offers men and women the opportunity to achieve natural-looking results without the hard work. There are many, including our customers that use diet and exercise to control or aid in weight loss, but through this method, fat cells are still present, and over time can increase in size if lifestyle changes occur. However, it is through using this procedure that fat cells are naturally eliminated via the body, and more slimming results can be seen over time. Unlike surgical procedures, where results may be instant but aren’t visible until after the recovery period, which, can be weeks or months at a time. Cryolipolysis removes the recovery waiting time and produces that natural weight loss that can be seen and enjoyed over time. Our customers want body sculpting results, results that are noticeable and make a difference to their appearance. We know that diet pills and weight loss shakes rarely touch the mark, but it is our procedure that is a cut above the rest. Flabby pieces of flesh are undoubtedly a miserable part of our bodies, they can be shapeless and unflattering, but they don’t have to be. We believe in focusing our attention on the parts of the body that make us uncomfortable, and that differs from customer to customer, but our dedicated team are on hand to provide that much-needed assistance. No two bodies are identical, and our procedure is designed to cater for that. 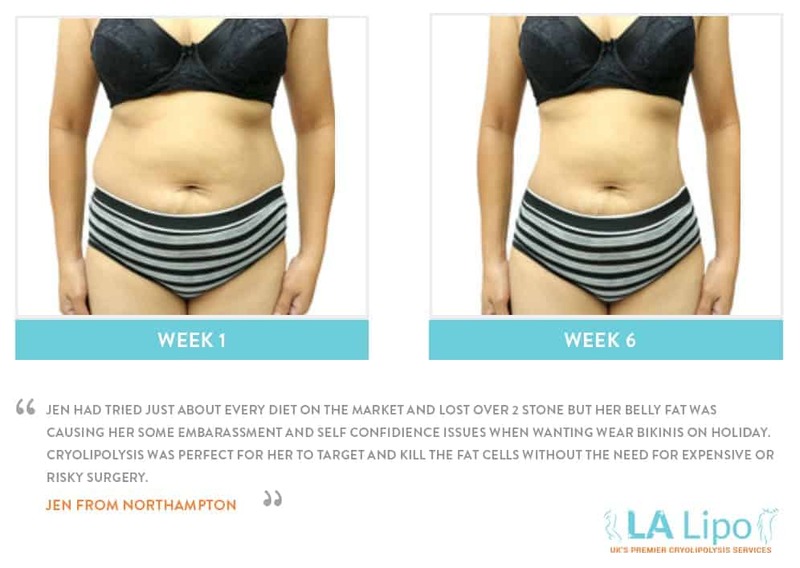 At LA Lipo we understand that customers want their bodies to look and feel a certain way without the dreaded recovery period. We all want our results to be faster, painless and affordable, results that won’t leave us missing out on other opportunities, and there is no better way than having the experience of your fat frozen to appreciate weight loss results truly. The procedure works by targeting specific areas of the body, with the arms and waist being the most popular choices. A section or sections of the body are clamped between two skin friendly electronic machines, which are then cooled to a minus degree to begin the crystallisation of fat cells within the body. There are different sized clamps to suit certain areas, but each clamp uses the same process as any other. It works by freezing the specified area for a period, no longer than an hour to provide results of up to 20 per cent body fat reduction. This can, of course, be repeated over time to achieve more sculpted looks, and with the addition of it being pain-free, customers find themselves divulging in other parts of their body to achieve their ‘perfect’ look. The results are longer lasting than everyday dieting and exercise, but that doesn’t mean you should jump off the treadmill just yet. In recent years, the demand to have perfect features has increased, and natural weight loss alone doesn’t quite cut it for everyone. Our customers now can use this procedure on more than just unwanted bingo wings and love handles. 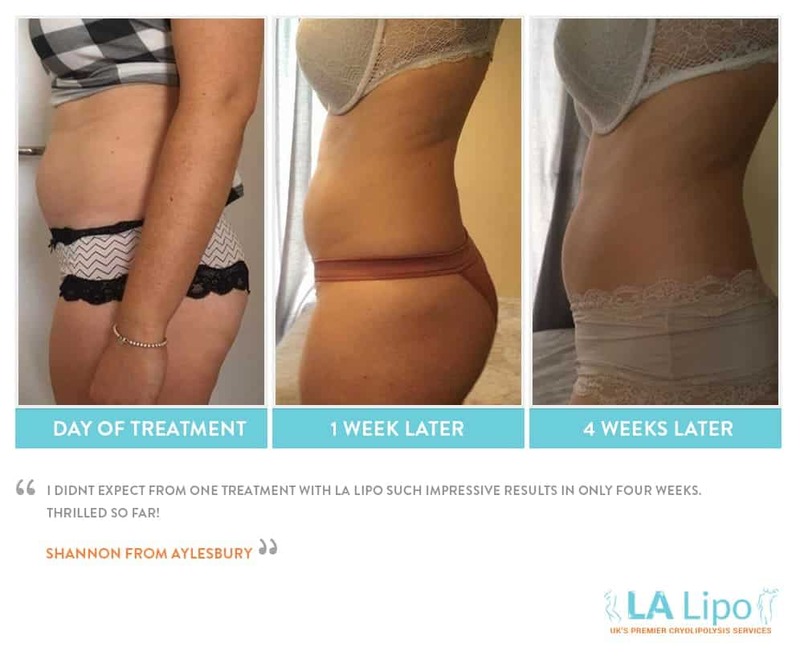 The option to reduce and minimise fat cells in the face, neck, stomach, arms, legs, hips, waist, buttock and back are in high demand, and at LA Lipo with offer customers a multitude of those options to suit their needs. We know that our looks are important to who we are and how others perceive us, so at LA Lipo we believe in providing our customers with the best opportunities to look their best. No question is too silly; nobody part is too large, our expert team is on hand to deal with all of your questions and to put you at ease. There are times we when all fall off the diet wagon and need a quick weight loss fix to put us back on the right track, and many of our customers find that this is just the procedure. It is recommended that a healthy lifestyle is maintained for the weight loss results to be effective and manageable, but that doesn’t mean you are required to drop the chocolate bar and stuff your handbag with lettuce. Our procedure means that you can carry on with your everyday activities, whether that is hitting the gym, or preparing a day out with the family, there isn’t need to stop everything to achieve your desired results. Throughout the years cryolipolysis has become favourite weight loss procedure. It offers customers results that are guaranteed, and of course less painful than a surgical alternative. The non-evasive treatment allows customers to fit their sessions around their everyday routines. There isn’t need to book days, weeks or months off for recovery time because fat freezing works around you. Having the ability to have more than one treatment in a single session, without recovery time means that our customers can continue with their day. As an alternative weight loss procedure that provides customers with the option to treat up to four areas of the body in one session, it allows our trained experts to focus their attention on the most demanding parts. As our needs to look ‘perfect’ constantly arise, this procedure allows our bodies to receive faster results without putting too much demand on how we heal. For many, having fat frozen is a cost-effective alternative that can be achieved in a clinic, or in the comfort of your own home; it is a procedure that works for you. Many customers have fears and phobias around needles and knives, and the fat blast freeze treatment can offer the same, if not better results in a smaller amount of time without going under the knife, it is no wonder why this is fast becoming the favourite treatment. We all lead such busy and demanding lifestyles, and many of us rarely put any thought into how to manage our bodies, but here at LA Lipo , you can leave the body care up to us. 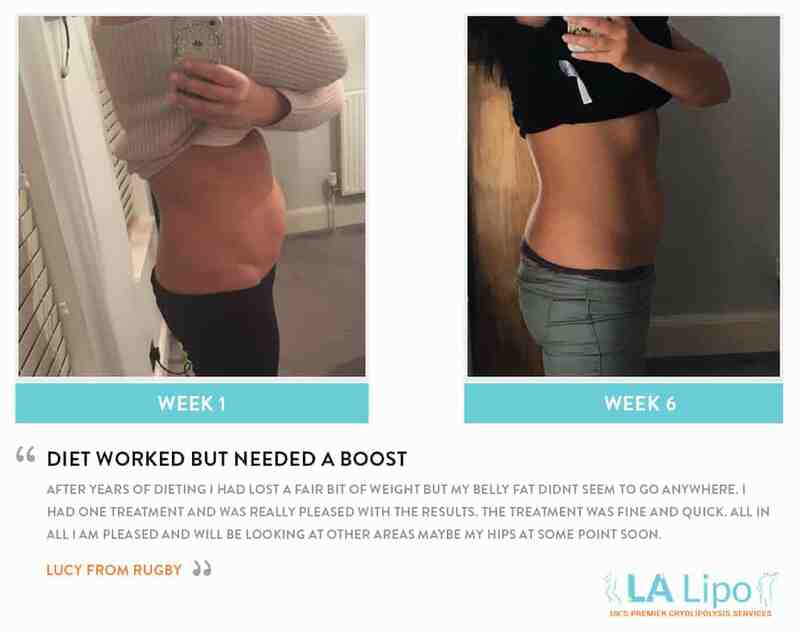 The UK is becoming the place to be for non-invasive procedures, and at LA Lipo we can offer that experience to many, rather than just a select few.